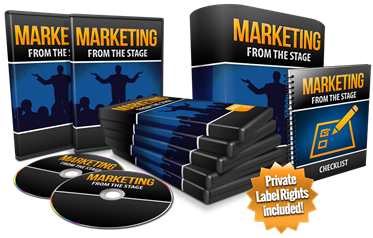 “Marketing From The Stage” is a collection of step-by-step modules presented in video format on how anyone can get into the seminar business and make MASSIVE profits teaching what they love or what they know best. … But the seminar business is a different ball game from other usual crafts. Being an expert in information publishing for example, does not guarantee you will know how to run a successful seminar. This valuable course “Marketing From The Stage” answers it all – and MILLIONS of experts from all fields are looking for it! 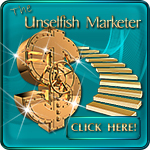 Quite simply: you are getting an INSTANT product that will market itself! Like the main product, the Check List is also editable and rebrandable. The original source files are included for you to do just that. Mind Map process accompanying the training program. This is a creative visual aid outlining the course that gives your customers a bird’s eye view on the topic. This sales video was created with the popular VideoMakerFX software, the most popular video making software on JVZoo. While you can certainly use this video as it is, if you want to edit the video we have also included the original VideoMakerFX Project File for you! We even attach the transcript for this sales video! For your convenience, additional Resell Rights and Master Resell Rights license have been created for you so if you want, you can pass any of these rights to your customers too! Bonus #1: 8 Profit-Pulling PLR Strategies That Really Work! Only one catch: since we are just launching this new PLR deal we decided to kick it off with a dime sale. The price goes up a bit with every few copies sold until it reaches the retail price we had declared, and after that it will be capped there for good. So lock in your licensing spot now while the price is still at its lowest.